Have you broken your New Years Resolution Yet? 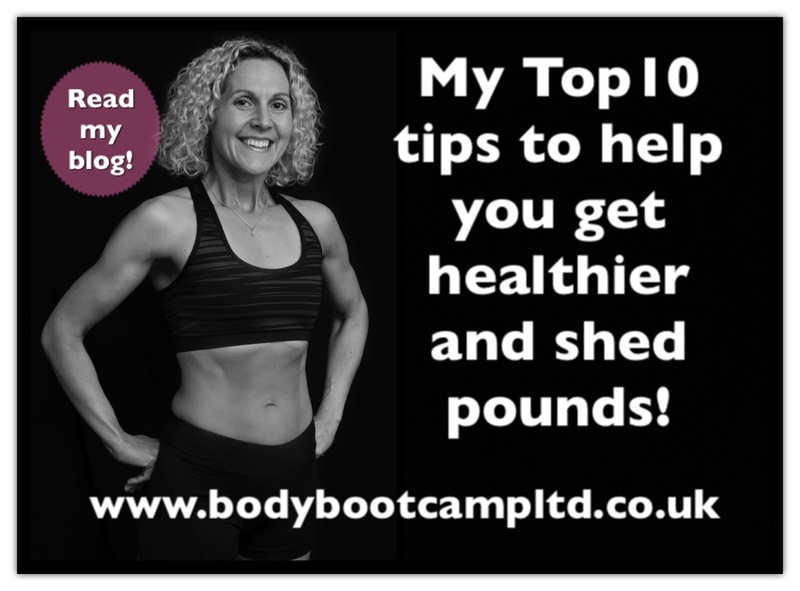 10 Top Tips to help you get healthier and shed pounds! I know its late to be talking about New Year’s Resolutions but how many of you have made and actually stuck to them? Statics say that 88% of people have failed to keep them or given up on them by this weekend (17th January The Huffington Post). So why are so many people failing or quitting? • Is it lack motivation? • Is it that temptation is just too strong? • Is their “diet” is too restrictive and boring? • Are they questioning why they are putting themselves through it because they aren’t seeing any results? You know what? NEWS FLASH You don’t need to ‘put yourself through it’ and be on a restrictive, boring diet and pounding the pavements or running on a treadmill every night of the week. There is another way! There is a way of feeling better, getting fitter, more toned and slimmer, and staying that way for life! Isn’t that amazing? And you know what, it’s not about being motivated, it’s about educating yourself and learning how to make the small changes to your lifestyle that will have a massive compounding effect for the rest of your life. For example, there are 16 calories in a single teaspoon of sugar. If you take sugar in your tea or coffee and you have five a day, that’s 560 calories a week. Say you have a digestive biscuit at break time each day, that’s 71 calories. One a day, five times a week is 355 calories (that’s assuming you can stop at one, though most of us don’t and it’s usually two!!). Even these few things equate to 915 calories a week! Over a month it all adds up and I’m sure there are other bad habits besides these we could all own up to! 1. Keep a food diary. Write everything down for at least a week, including drinks. You’ll be surprised at how much you pick and snack! 2. Mindful eating! Stop eating and moving/doing stuff at the same time. If you are going to eat something, concentrate on enjoying it! This helps you satisfy your hunger and you will register that you have eaten and feel full longer. 3. Don’t wait until you feel starving hungry to eat! This usually makes us not only over eat but also makes us reach for a quick fix of sugar because our bodies are programmed to crave sugar when they need energy. 4. Cut out sugar as much as you can. Keeping your blood sugar levels at a constant is key to feeling more energetic throughout the day and will stop you feeling tired when your natural siesta time strikes at 2-3pm! Yes, this why you feel like nodding off after lunch! 5. Drink water! The average woman should be drinking at least 2litres of water a day and the average man 2.75 litres a day. This helps keep your concentration levels up, flushes toxins out of your body and improves the appearance of your skin! You will glow! 6. Move more! Instead sitting at your desk through lunchtime, go for a walk for half-an-hour. You will feel more refreshes for an afternoon’s work, it clears your head and you are burning calories at the same time. 7. Plan your meals. Do your shopping for the week but buy healthy foods and avoid things that come in a package. Cook from scratch. Make enough for several meals and freeze it then you have meals in that are quick when you are short of time. This way you will avoid 'quick fix foods' that are more often than not unhealthy, and full of empty calories. 8. Exercise! Now this is where you all roll your eyes to heaven and mumble under your breath ‘here she goes again’! Seriously though, it doesn’t have to be unenjoyable. Find a way of making it work for you. Make it fun, involve your friends and family and do it together! It can be anything, a sport, a walk, following an exercise video together. It doesn’t have to be expensive, you can use your own bodyweight to achieve amazing results without even setting foot in a gym. 9. Set a goal. Write it down, put it somewhere you’ll see it every day and make it happen. It doesn’t have to be losing weight. It could be a challenge or a dress size. What it does have to be though is YOUR GOAL, one that is important to you. 10. Know your WHY? If you know why you want to achieve your goal you will keep your focus. Have you ever asked yourself why you want to make that New Year’s Resolution in the first place? These are just a few pointers to give you some food for thought. If you feel you need more help to achieve your goal or you want to get there quicker, use a coach and a personal trainer. It doesn’t need to be expensive. I offer a variety of packages starting from as little as £99 for My 6-week Better You Online plan (click here). It’s an exercise plan, coupled with a bespoke, no-nonsense food plan. It also includes coaching and accountability calls, and support from a group of similarly minded people who are all in the same boat. Wishing you the best of luck and success for a happy and healthy not just new year but life!